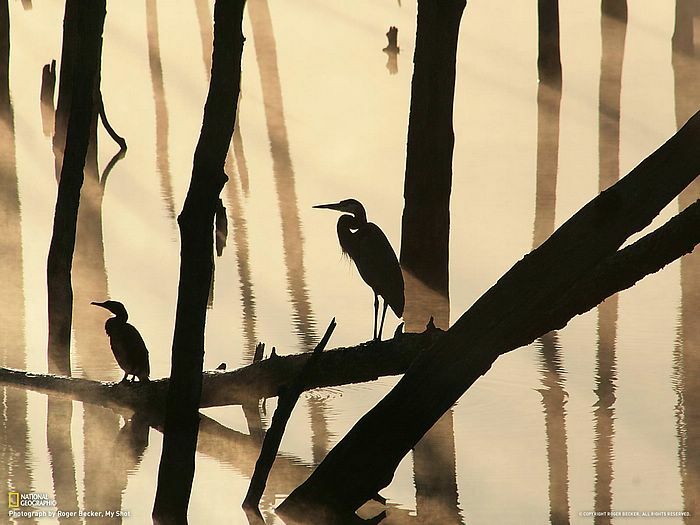 The amazing world : National Geographic POD, April 2010 、Birds on log in a foggy morning, New Jersey 、I was out early one morning and caught this pair sitting on a log getting the morning sun. The fog was on the water they just seemed to be waiting for it to clear. I was hoping for some early morning fog shots and got this treat. This was shot at a park in Howell, New Jersey.